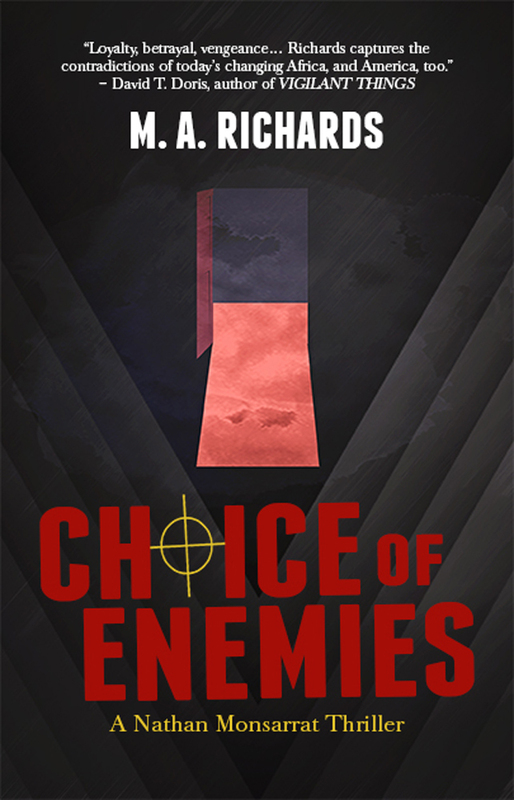 MECHANICSBURG, Pa. — Sunbury Press has released Choice of Enemies, M. A. Richards’ first Nathan Monsarrat spy thriller. Nathan, now a Dean at a small college in Massachusetts, is visited by his former mentor at the Agency, who offers him a blunt choice: either travel to the Dark Continent to lay the groundwork for the coup d’état, or condemn the woman who saved his life to a brutal execution. Out of options, he returns to Africa, where he discovers that the Agency plans to reward his services with an oil soaked grave. 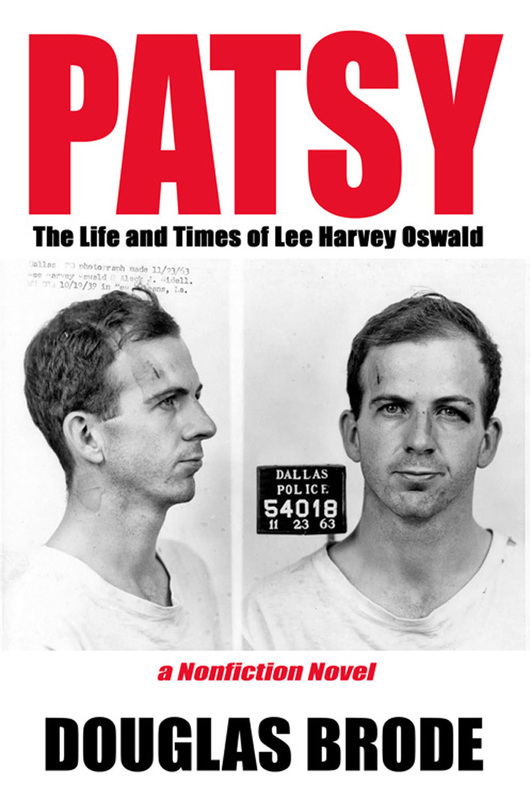 Sanhedrin’s new boots rested atop two green, canvas duffel bags stuffed with Benjamin Franklins, and he carried with him, like a talisman, the blessings of the Mandarins who guided the operations of the Central Intelligence Agency in Langley, Virginia. Despite their stated policy to never negotiate with the enemies of the United States, Sanhedrin had convinced the éminences grises to ransom his assistant, Nathan Monsarrat, from the rebel group called Fighters Against Terror in Africa, or FATA. Next to Sanhedrin, Mark Palmer wore funereal black, a shooter’s vest, tee shirt, tactical pants, jungle boots, baseball cap, Nomex gloves, and sunglasses. Years beneath the African sun had braised his face and arms. He was clean shaven, and his hair was cut in a brown bristle. Military tattoos covered both his forearms, and blue veins latticed his knotted muscles. 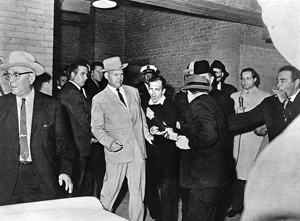 He carried an M4 rifle, a brace of Heckler and Koch P30 pistols in nylon holsters strapped to his thighs, a combat knife, commo gear, and four P30 magazines looped onto his belt. The shooter’s vest held extra M4 mags. A true labor of love, CHOICE OF ENEMIES grew from my 24(+) years as a Cultural Attaché with the Department of State. During my years as a diplomat, I spent much time in Africa and worked in many countries, including Nigeria, South Africa, and Namibia. My first-hand experiences and adventures (and misadventures) were a petri dish for incubating the story. I’d like to say the novel sprung entire and polished from my head, like Athena springing fully armored from the forehead of Zeus, but all that the birth of CHOICE OF ENEMIES had in common with that particular piece of mythology was the feeling of an axe cleaving my brain. First novels are notoriously difficult to bring to fruition, and this one took eighteen months to write, but like any difficult child who survived a tough start, I am very proud of the book and its hero, Nathan Monsarrat. He’s a good man, steady, dependable, and smart, but not without neuroses. 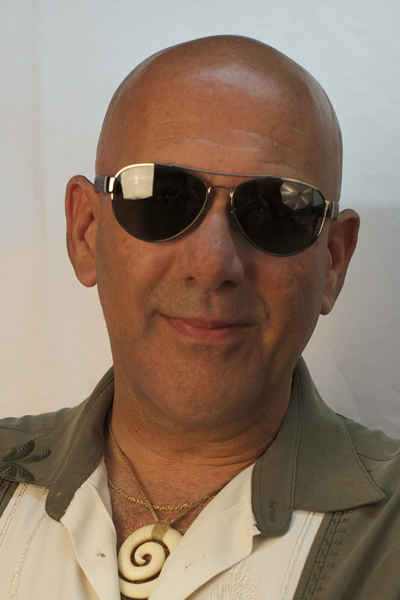 Still, if I had to go into a dark alley at night in one of the planet’s nastier shitholes to meet a scumbag like Felix Sanhedrin (Monsarrat’s bête noire), I would want Nathan on my six.